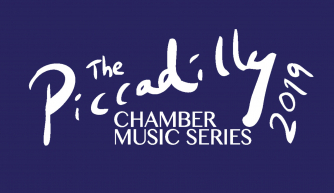 The West End’s newest chamber music series, Piccadilly Chamber Concerts returns in 2019, focusing on The Great Romantics. Each programme features a masterpiece of 19th Century romantic repertoire. Now in its 2nd season, the 2019 series continues on April 5st with a performance of Beethoven’s sublime, ‘Ghost’ Piano Trio and Tchaikovsky’s epic Piano Trio in A minor. Also in tonight’s programme is ‘Spring’ from Piazolla’s Four Seasons. Spectacular concert violinist Miriam Teppich and virtuoso cellist Pavlos Carvalho are joined by concert pianist Warren Mailley-Smith in this ‘tour-de-force’ of repertoire for Piano Trio. Audiences will be treated to a hugely uplifting, entertaining and informative musical evening!